Thank you to Sancus Arc for arranging and hosting a two-day training and team building event for the PHT China and Sancus Arc teams. PHT International is incredibly excited to announce a recent addition to our leadership team – Dr. Joanne Johnson. As Executive Vice President of Sales and Head of the Pharmaceutical Business Unit, Dr. Johnson will leverage PHT’s capabilities and expertise to enhance our offerings in the custom development realm. Please click link for the formal press release. PHT Inernational's, President and Owner, Lihong Yu spent the Chinese New Year holiday with her team. PHT stands for People, Honesty, Trust with People always coming first. Since the Sancus Arc manufacturing site workers had to work on the Chinese New Year Holiday in order to make sure an order was delivered on time with high quality, Lihong decided to cook lunch for all of the employees as a token of appreciation. 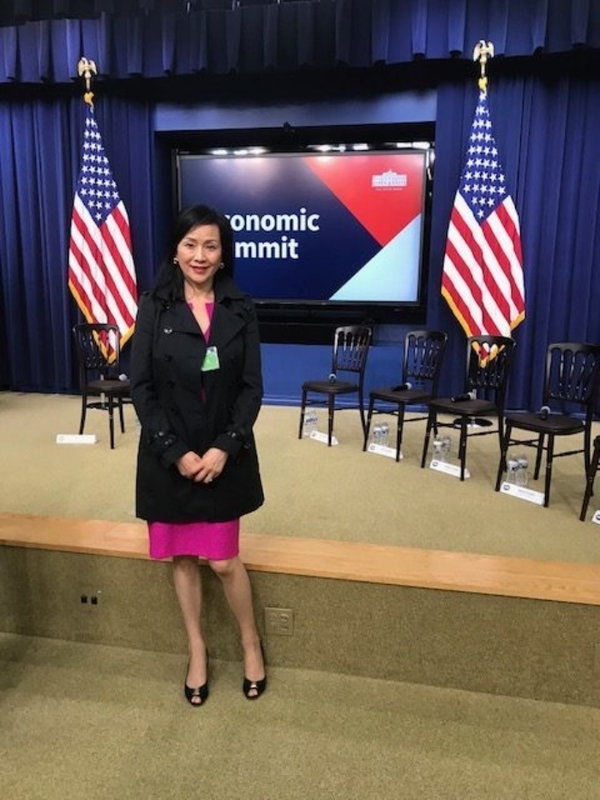 PHT President, Lihong Yu, attended the White House Ecomonic Summit on Thursday, September 27, 2018. 2018 is an extra special year for PHT, it is the 25th anniversary of our business. 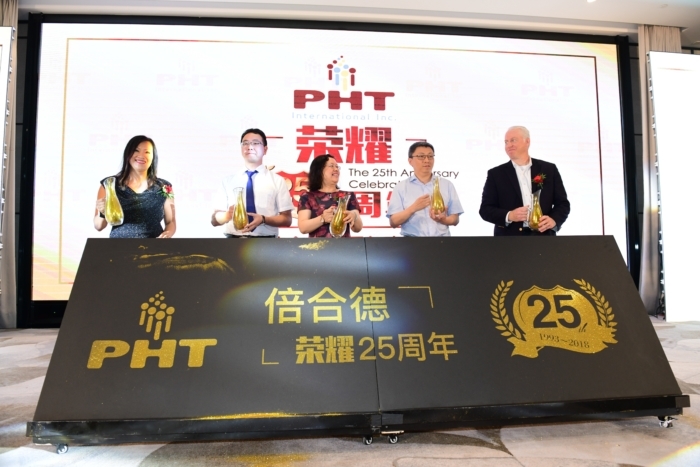 In honor of PHT's 25th year anniversary, we had two celebrations, one in China and one in the USA. Our employees, customers, vendors, and friends all came together to enjoy this incredible milestone for PHT. 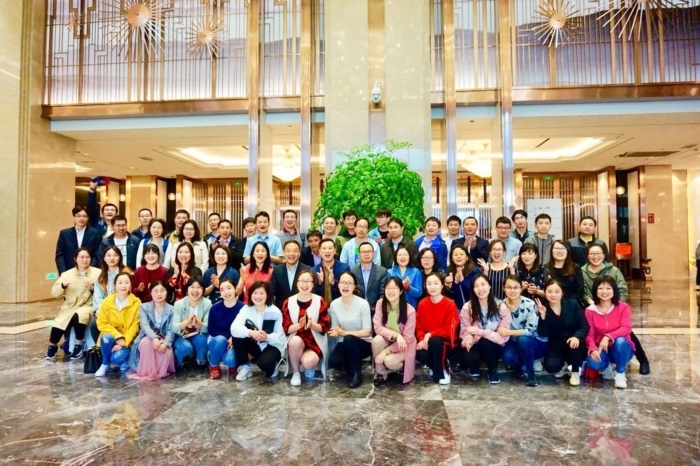 This summer, our President, Lihong Yu had the wonderful opportunity to do a six week internship at our manufacturing facility, Sancus Arc Biochem, located in Shangyu City, Zhejiang Province. During this time, Lihong removed her president’s hat and joined the employees in their everyday work activities. Lihong spent time in every department to fully understand the daily operations, obstacles, and accomplishments of each function and person. At PHT, the “People” aspect is behind everything we do and in fully immersing herself at the plant, Lihong was able to add to this pillar. PHT is pleased to announce that our Green Chemistry collaborative partner, Dr. Bruce Lipshutz, and his colleague, Dr. Sachin Handa in the Department of Chemistry at the University of Louisville, have been selected by the ACS GCI Pharmaceutical Roundtable (ACS GCI PRT) to receive the ACS GCI PRT Peter J. Dunn Award for Green Chemistry and Engineering Impact in the Pharmaceutical Industry. Dr. Lipshutz and Dr. Handa were selected based on their innovative work in the development of newly engineered catalysts for sustainable surfactant chemistry in water. The Peter J. Dunn award was established “to recognize outstanding industrial implementation of novel green chemistry and/or engineering in the pharmaceutical industry that demonstrate compelling environmental safety, cost, and/or efficiency improvements over current technologies.” Dr. Lipshutz and Dr. Handa’s work has clearly and powerfully demonstrated the use of nanomicelles and nanocatalysis to successfully carry out reactions of great relevance to the pharmaceutical industry. The use of water-based systems was coupled with a substantial reduction in the use of platinum group metals and results in significant sustainability advantages for the industry. PHT is pleased to announce the results of our recent US FDA EIR inspection, conducted at our pharmaceutical manufacturing facility, Sancus Arc. We were inspected and are in compliance with all cGMP regulations. Sancus ARC's previous US FDA EIR inspection was in September 2015, shortly after PHT took full ownership and management of the site - also, at that time, the facility was in compliance with cGMP regulations. We are pleased to continue our great tradition of quality, consistency, and reliability - in the spirit of People, Honesty, and Trust. PHT and Sancus Arc look forward to continuing to serve you. People, Honesty, and Trust in action. PHT had the privilege to volunteer to fill shoeboxes for Operation Christmas Child. Operation Christmas Child is a project of Samaritan’s Purse, an international relief organization. Their mission is to provide local partners around the world with shoeboxes filled with small toys, hygiene items, and school supplies as a means of reaching out to children in their own communities with the Good News of Jesus Christ. They ship these simple gifts outside the United States to children affected by war, poverty, natural disaster, famine, and disease; and to children living on Native American reservations in the U.S.
During our Second Harvest Canned Food Drive, PHT was able to collectively donate 644lbs of food to help feed out hungry neighbors. Continuing on our never ending effort to support our local community, on July 9th PHT USA launched Let's Help Others Summer campaign. Ending on August 31st, PHT was able to fill and donate 3 full book bags to Washington Elementary School in support of Operation Backpack. Also, in support of Catherine's House, PHT was able to collect & donate multiple items, such as: toiletries, laundry detergent, canned foods, cleaning supplies, etc. The week of November2, 2017, PHT International hosted our 1st food drive. 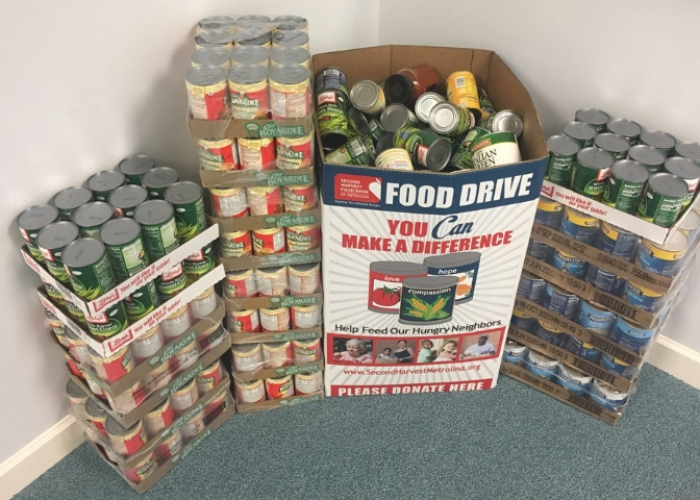 Everyone came together to collect canned goods and non-perishable items for a local food bank, Loaves & Fishes, that helps feed thousands of people throughout our community. 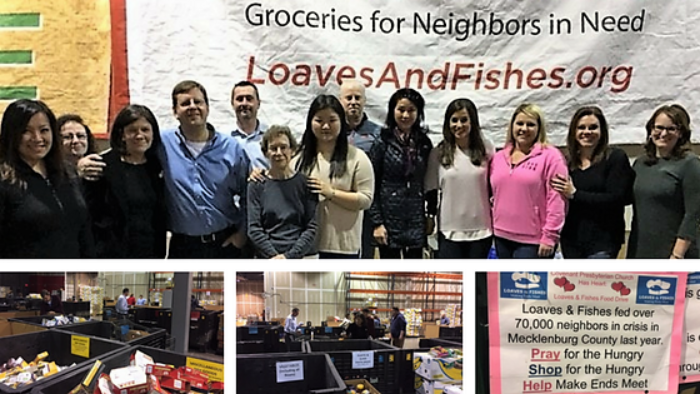 As a way to end our food drive, PHT employees spent the afternoon in the Loaves & Fishes warehouse sorting donations and deliveries. PHT is committed to serving our community, together we can make a difference. In response to the devastation caused by Hurricane Harvey in Texas and surrounding states, PHT International, Inc. has donated $20,000 to the Greater Houston Community Foundation’s Hurricane Harvey Relief Fund to assist with disaster relief efforts in the region. At PHT we don’t just talk about investing in people. We act. PHT has a vested interest in the communities in which we serve. Because of this, PHT started our Give Back program, and each year, we partner with community organizations that are making differences in people’s lives. We sponsor events, fundraise, or advocate on their behalf. It is our belief that when we support others, we create a stronger future for everyone. Nineteen-year-old Cody likes to live life in the fast lane, so it came as no surprise that his dream was to have an immersive NASCAR experience. A teen living with down syndrome, and battling congestive heart failure and stage 2 kidney disease, Cody has had his share of struggles, so getting the chance to sponsor his dream was an opportunity PHT could not pass up. 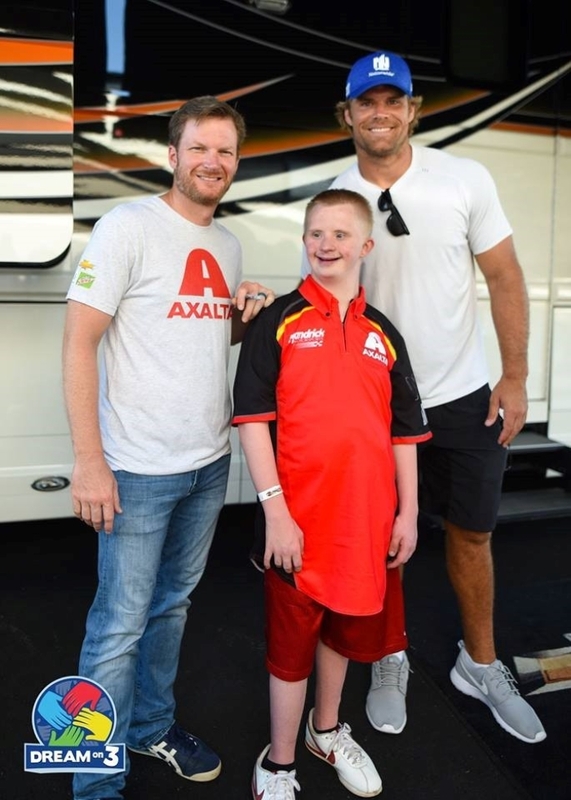 Cody’s day included meeting his hero, Dale Earnhardt Jr., watching the legend race in Charlotte Motor Speedway’s AllStar Race, and getting a chance to ride around a racetrack himself! Throughout the day he also met another favorite local athlete, Carolina Panther Greg Olsen, and even country music superstar, Justin Moore. It was a wonderful celebration of Cody, and hopefully became a bright memory for years to come. Iziah had to overcome a life-altering situation much younger than most. After his mother passed away, he was left parentless and was taken in by his oldest sister and her husband. 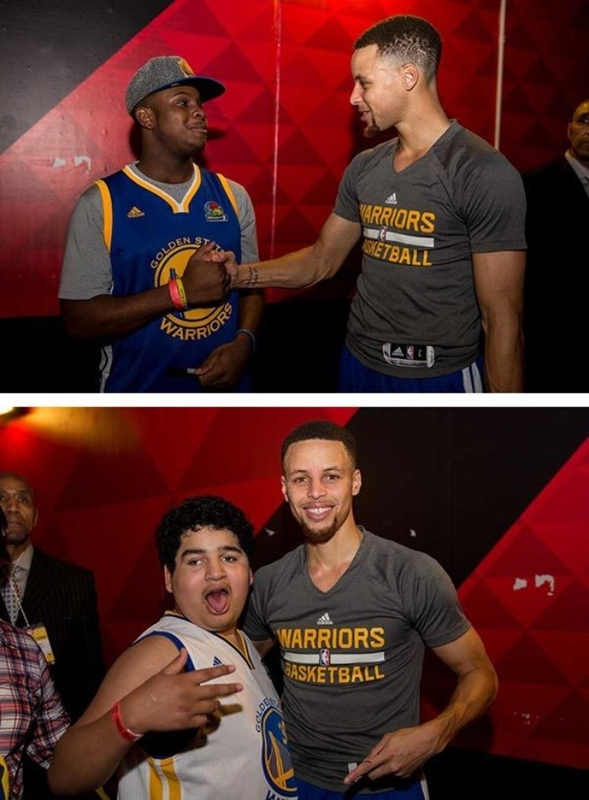 A teen with dreams of becoming an NBA player and struggling to find a sense of normalcy at one of the toughest stages of life, PHT was honored to help make his dream of meeting NBA-star Steph Curry come true. Passion is a teenager full of life and energy. A basketball fanatic, Passion had been touted as the “Middle School Steph Curry” by his friends and classmates. Last September, Passion sustained a severe head injury while playing the game he loves. After surviving a stroke and five surgeries, Passion is now re-learning how to talk, walk, and get back to playing his favorite game. For his dream day, Passion wanted to see Steph Curry play, and PHT couldn’t imagine a more worthy recipient. Passion and Iziah were taken to Atlanta, where they both had courtside seats to watch NBA all-star, Steph Curry, lead the Golden State Warriors to a 102-92 victory. Afterward both boys got to go behind the scenes to meet their hero and make once-in-a-lifetime memories. 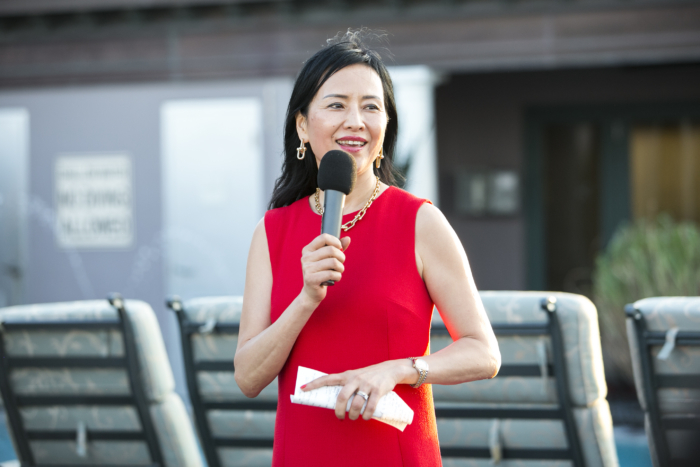 A leading nonprofit dedicated to eradicating breast cancer, PHT is proud to support this worthy organization as they strive for their most recent goal of reducing breast cancer deaths by 50 percent by 2026. Since 2014, PHT has been an active participant in the Susan G. Komen Race for the Cure foundation. Each year, PHT employees participate in the walk/run, and each has a target donation of $250. This year PHT was able to raise $2400.00 for this amazing cause.